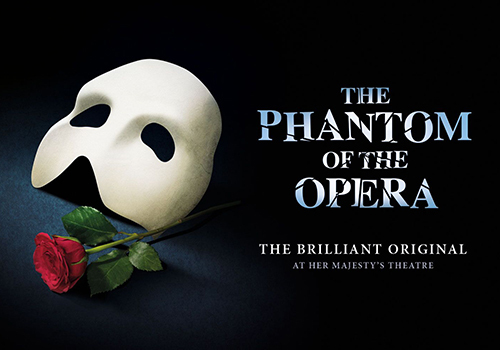 Directed by Harold Prince and produced by Cameron Mackintosh, The Phantom of the Opera is London's second-longest running musical, behind Les Miserables. Receiving 3 Olivier Awards and 7 Tony Awards, the musical has surpassed 30 years at Her Majesty's Theatre London and is largely considered to be Andrew Lloyd Webber's finest score. 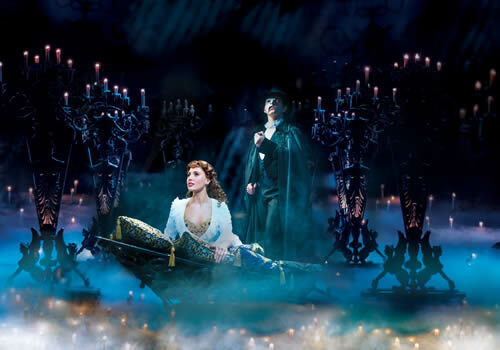 First opening at the theatre in 1986, The Phantom of the Opera starred musical theatre legend Michael Crawford in the title role, alongside Lloyd Webber's muse Sarah Brightman as Christine Daaé. Crawford received an Olivier Award for Best Actor in a Musical for his performance, with the pair both winning Tony Awards when they opened the show on Broadway in 1988. The Phantom of the Opera is adapted from Gaston Leroux's French novel La Fantôme de l'Opéra, with a book and the score by Lloyd Webber, Charles Hart and Richard Stilgoe. Similarly to the novel, the musical is set in Paris in the late 19th century. When the resident prima donna refuses to perform because of the Phantom's presence in the theatre, chorus girl Christine steps up to fill her shoes. Tutored by the invisible Angel of Music, Christine's voice is enough to make audiences love her, but when the Angel reveals himself, Christine is shocked beyond belief. 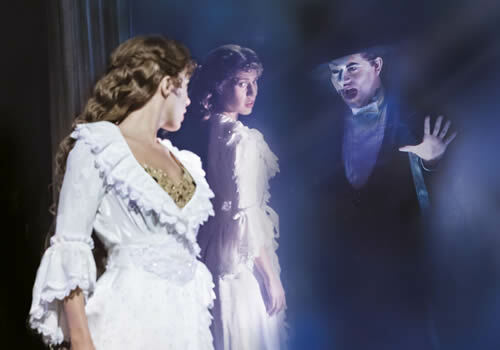 Soon, the Phantom becomes jealous as he watches Christine and theatre patron Raoul fall in love, and vows to do what he can to win her heart. Lloyd Webber's sumptuous score includes songs such as "Think of Me", "Angel of Music", "The Phantom of the Opera", "The Music of the Night", "All I Ask of You", "Masquerade", "Wishing You Were Somehow Here Again" and "The Point of No Return". The musical score is so popular that the original 1986 London cast recording went Double Platinum in Canada, Triple Platinum in the UK and Quadruple Platinum in America. 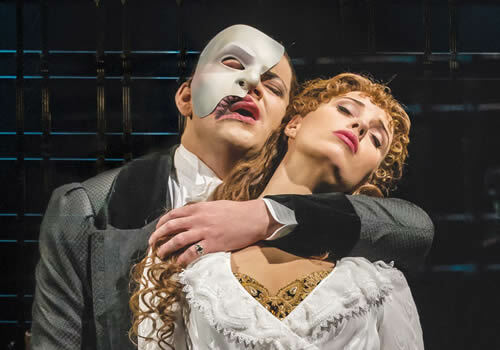 Current casting for the London production includes David Thatxton as the Phantom, Kelly Mathieson as Christine, Jeremy Taylor as Raoul, Mark Oxtoby as Monsieur Andre, Jacinta Mulcahy as Madame Giry, Paul Ettore Tabone as Ubaldo Piangi and Georgia Ware as Meg Giry. New casting includes Kimberly Blake as Carlotta and Ross Dawes as Monsieur Firmin. Amy Manford plays the role of Christine at certain performances. A West End classic, The Phantom of the Opera is perfect for theatregoers who want to see a truly traditional musical that encompasses professional standard and world class actors. The Phantom of the Opera is suitable for those aged 10 and up. Please note that children under the age of 4 will not be admitted into the theatre. Click here for the Her Majesty's Theatre seating chart and seat price guide.